Chocolatier Indulgent Egg Selection covers all bases this Easter. 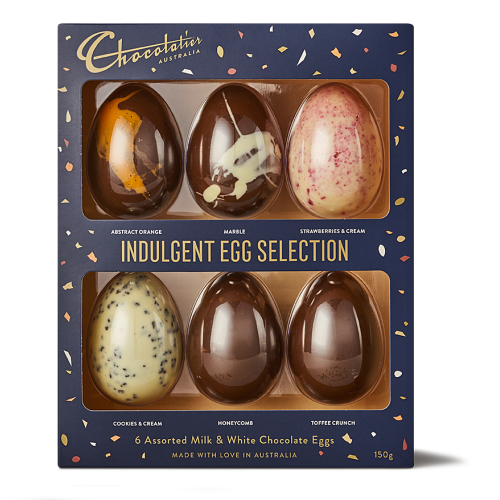 The elegant gift box is filled with an assortment of six chocolate eggs: Cookies & Cream, Abstract Orange, Honeycomb, Marble, Strawberries & Cream and Toffee Crunch. 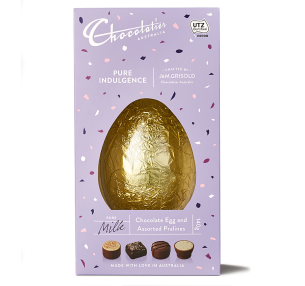 A delectable gift that will keep the tastebuds guessing. SOLD OUT! 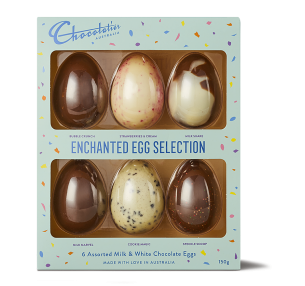 Chocolatier Enchanted Egg Selection offers a delightful assortment of six milk and whit..